Pictured from left to right are: Chris Ouderkirk, superintendent of building and grounds for the Sandy Creek Central School District; Senator Ritchie; and Andy Ridgeway, maintenance coordinator for the Sandy Creek Central School District. 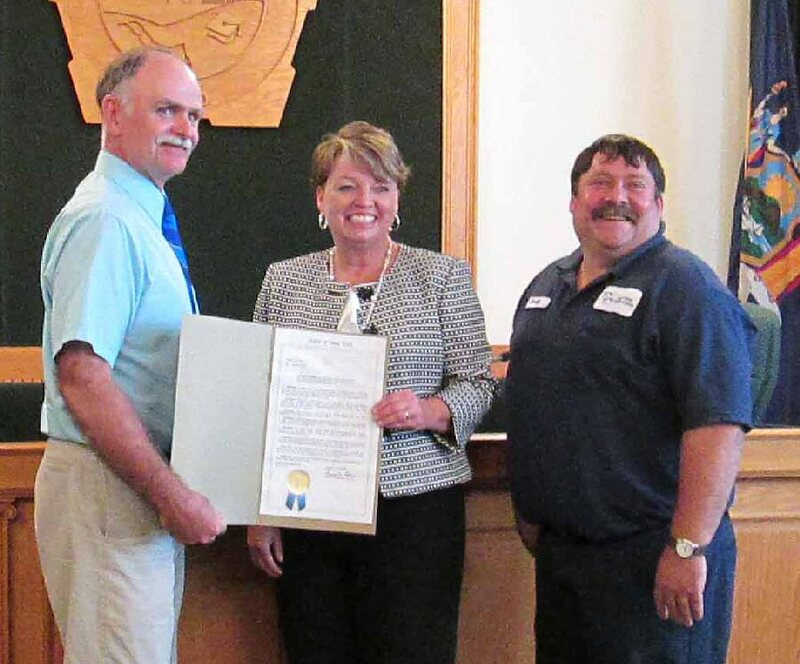 State Senator Patty Ritchie presented an official Senate Resolution to the Sandy Creek Central School District this week, congratulating the district on being named being named one of the top five “Energy STAR” schools in Central New York. The Sandy Creek Central School District was named an “Energy STAR” school for improving its energy performance, managing energy strategically across the district and making cost-effective, energy-saving improvements.